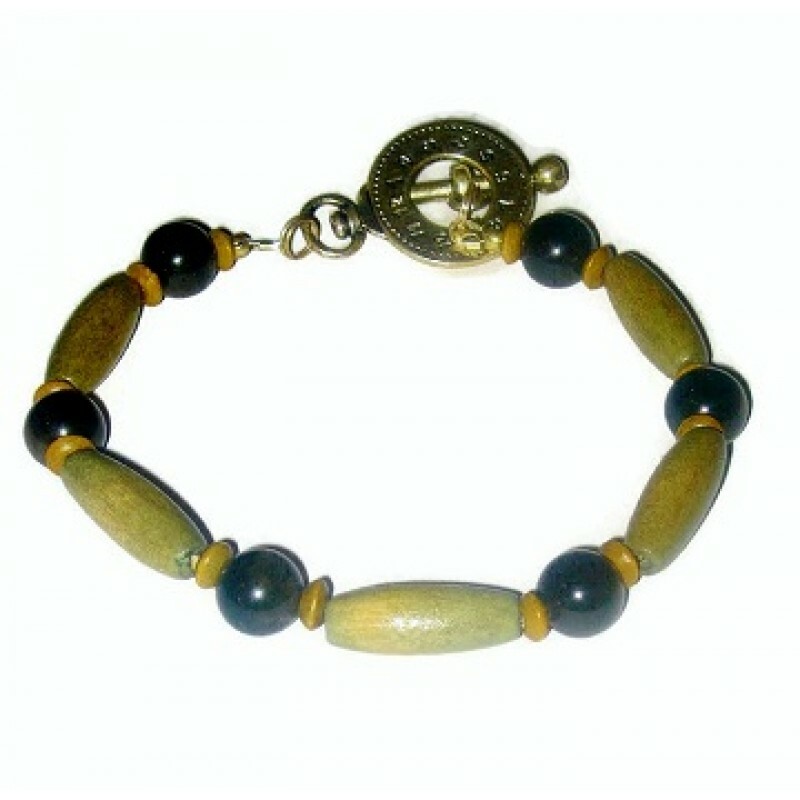 Beaded bracelets are great accessories in men's fashion. This one is 8-3/4 inches and has a cool clock-style toggle clasp. Also, it is made up of wood beads and obsidian beads.